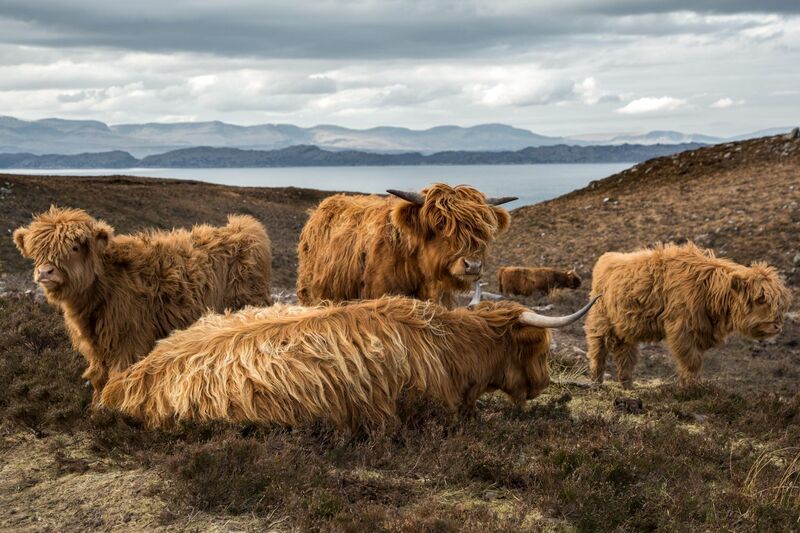 Scottish Highland Cattle have long vied with the Loch Ness Monster and the wee ferocious midge for the title of Scotland’s most iconic creature. I spotted this herd of Highland Cattle on the road to Applecross. The youngest members of the herd have to be the fluffiest and cutest things ever but I wouldn’t get in a field with them!